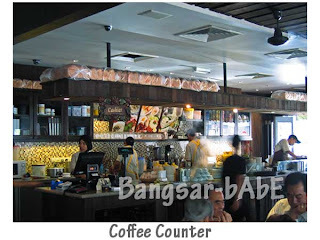 rif took me out for lunch last Friday since I was getting tired of the eateries near my office. Drove to Kota Damansara for Chili Pan Mee but he suddenly changed his mind and decided to try Pappa Kopitiam. 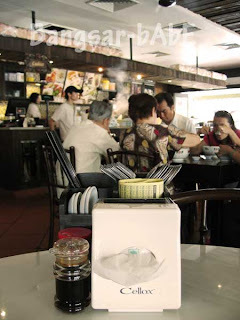 The kopitiam’s interior was very basic – marble top tables, wooden chairs and minimal wall décor. 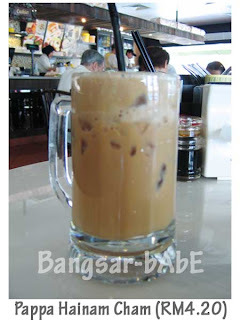 rif had the Iced Pappa Hainan Cham while I tried the Pappa Cendol. The cham was quite good. Thick and creamy, it had a stronger tea taste compared to the coffee. Fragrant and satisfying. I found the cendol a disappointment. While the portion was decent, the taste wasn’t up to par. It was lacking coconut milk and gula melaka. 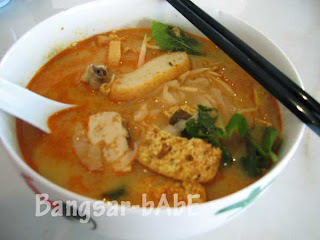 rif’s Dry Curry Mee came topped with chicken slices, thick curry sauce and chopped spring onions. It tasted alright, not too spicy nor too dry. The chicken slices were tender but I found that it lacked flavour. 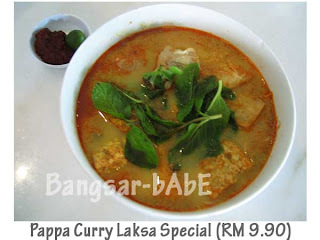 The Pappa Curry Laksa Special was mediocre. Taking into account the name, it failed to impress. While the coconut-based curry broth was fragrant, it was quite diluted. My noodles came with taufu pok, cockles, fish cake slices and 2 small pieces of chicken. The cockles were overcooked and had a rubbery texture. The chicken pieces were pathetic and bony. I asked for more sambal to go with the noodles as it lacked flavour. rif’s noodles were better. 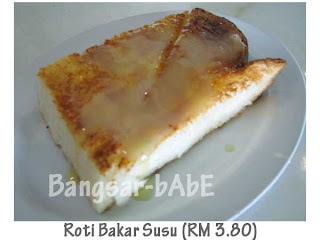 rif felt like having the Roti Bakar Susu. It’s buttered toast bread drizzled with condensed milk. The Bengali bread had a very soft and nice texture. Toasted till light and crispy, the condense milk was of just the right amount. Not too sweet with a hint of butter. Yummy! Lunch cost RM 31.80 after 5% service charge. 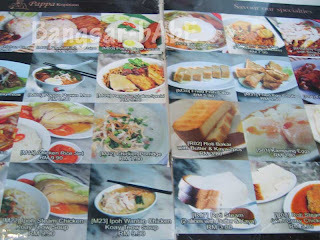 The food was nothing to shout about though I spotted many people ordering the Char Kway Teow and Ipoh Hor Fun. I wouldn’t mind coming back for their roti bakar and kopi. Verdict: Try their range of coffees and toasts. nice place to have a drink with your friends (if you live near by that is). 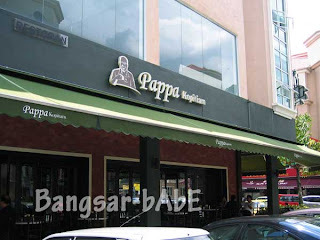 I did a review on Pappa Kopitiam too once. 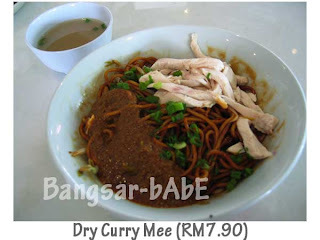 I like their dry curry mee … that’s about it.